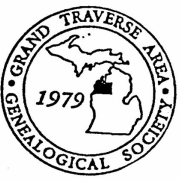 Join the Grand Traverse Area Genealogical Society during their monthly meetings where they discuss topics ranging from where to start your genealogical search to speakers who offer a wealth of information on local families, different cultures and how to’s. This month Dan Earl, professional genealogist and vice-president of Michigan Genealogical Council will talk about AncestARRRS! The Life and Records of the Atlantic Pirates. Speakers change monthly so keep checking their website HERE to find out who is scheduled and to see a list of all the events through the Grand Traverse Area Genealogical Society.